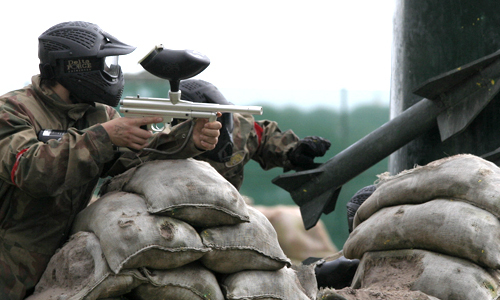 Every weekend our Delta Force paintball centre in Dingley plays host to a range of adult groups who have the time of their lives, ducking and weaving, attacking and defending, but it is the equipment that they wear that gives them the confidence to storm the bunker and bring victory to their team. If you have friends who have previously been too shy to play paintball, or if you’re just looking for the ultimate outdoor thrill, then come and visit Delta Force for the ultimate paintball adventure. A hip-mounted 400-shot capacity battlepack to ensure you never run out of ammo in the heat of battle. With paintballs travelling at speeds of up to 300 feet per second, the most essential piece of equipment you’ll wear on the day are your goggles. We are able to offer most of our players full head protection goggles. These masks are the safest goggles in the industry and allow all players to play safely, comfortably and with full confidence.